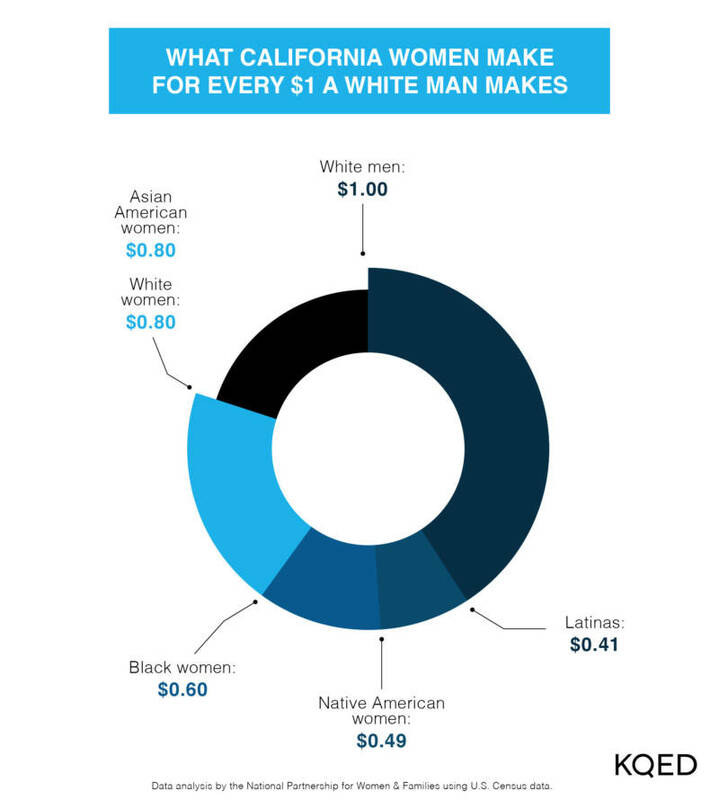 Women in California are paid from 41 cents to 80 cents for every dollar paid to a white man — a wide range that varies by race — despite efforts by lawmakers to bridge that gap, including a series of recent amendments to the state’s equal pay act. The total losses amount to more than $87 billion a year for women in the state. Overall, women employed full-time, year-round in California are typically paid 89 cents for every dollar paid to all men in the state, according to the National Partnership for Women & Families. Some female leaders, including First Partner Jennifer Siebel Newsom, are aiming to close that divide even further with an initiative announced Monday: They’re asking businesses to pledge to conduct an annual gender pay analysis and to review hiring and promotion practices to stamp out unconscious bias and structural barriers to ensuring equal pay. Thirteen businesses, including Apple, Airbnb, AT&T Communications Inc., Salesforce and Square, have signed on to the initiative, which is also being led by California Commission on the Status of Women and Girls and Time’s Up. “Across industries, women in the workforce earn less money than men do, and women of color often lose out the most. 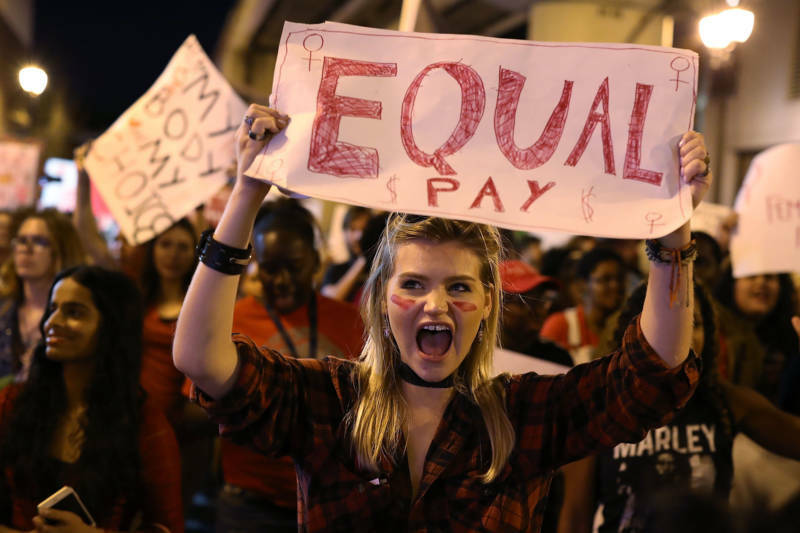 While California has some of the strongest laws on the books to ensure equal pay, passing a law is only the first step,” said Rebecca Goldman, interim CEO of Time's Up. California has been hailed as leading the nation in efforts to close the pay gap: In 2016, a new state law went into effect (the California Fair Pay Act) mandating that women be paid the same as their male colleagues "for substantially similar work.” It also imposed a ban on retaliation against women who discuss their pay, or ask about the salaries of colleagues, while on the job. In 2017, lawmakers amended an older state law — the California Equal Pay Act, stating that an employer could not rely on prior pay to set salaries. In 2018, the law was amended again to say that employers could no longer ask about a potential employee's previous salary. Those gaps mean women are typically paid this much less than white, non-Hispanic men every year: $44,500 for Latinas, $39,000 for Native Americans, $31,000 for blacks, $21,500 for Asian Americans, and $15,100 for white non-Hispanics. One of those efforts, she said, is Siebel Newsom’s initiative — which echoes that of the Obama administration’s White House equal pay pledge that a number of companies signed onto. While this kind of initiative is an important part of the fight to achieving equal pay, “on its own, it's incomplete,” said Vasu Reddy, senior policy counsel for workplace programs at the National Partnership for Women & Families. Got a news tip or comment? Email the reporter: mleitsinger@kqed.org. You can also reach her on the encrypted communications app, Signal: 650-888-2765.